We’ve all been there – you left something in the back of the fridge too long and it went sour. Maybe your favorite bottle of wine became vinegar when you weren’t looking, or maybe you left the vegetables in your crisper for too long. Oof. But fermentation, when done intentionally, is both tasty and a great way to preserve your garden bumper crop. Rather than leaving pounds of zucchini in your neighbor’s mailbox when you have too many, why not leave a jar of zucchini pickles? Why celebrate with overpriced sweet wine when you can make fresh honey wine with only a few items? Or, save money on yogurt by making big batches of your own. Don’t know how? Here are our recommendations for books to get you started…. 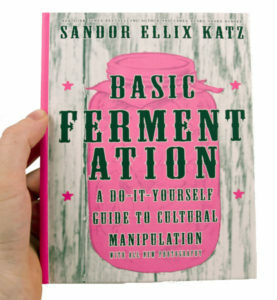 If you’re a visual learner, Basic Fermentation: A Do-It-Yourself Guide to Cultural Manipulation is packed with full-color photos that will walk you step-by-step through the art of fermentation. 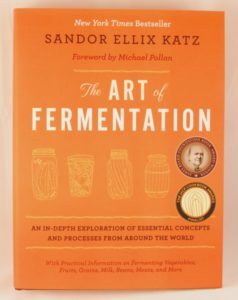 This book is where Sandor Ellix Katz got his start as a fermentation super-star, so it’s a perfect starting point for you, too. It will help you learn techniques and teach you tasty recipes for all your fermentation needs. 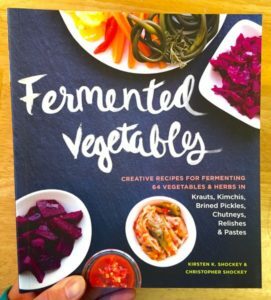 Even if you’ve tried your hand at fermentation before, it’s a great addition to your shelf for the recipes. This version is even updated with full step by step photos to get you going. When you think of fermentation, chances are your mind goes to staples like sauerkraut, kimchi, and even pickles. But there’s a whole world of fermentation out there beyond vegetables. Even better, this book includes ideas of how to use your tasty treats – taking them from just a side dish to a whole meal. So you’ve got a green thumb for more than just zucchini, which is great. But it also means that you don’t have six million pounds of zucchini to use – you have six million pounds of everything to use. 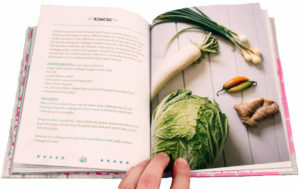 Fermented Vegetables: Creative Recipes for Fermenting 64 Vegetables & Herbs in Krauts, Kimchis, Brined Pickles, Chutneys, Relishes & Pastes (a mouthful, I know) is a fantastic reference for when you’re drowning in vegetables. This book helps you preserve a lot of different types of vegetables – not just cabbage and pickles – in creative and tasty ways. Like it spicy? The same authors also wrote Firey Fermentation, which provides a spicy twist on fermentation. No list on fermentation is complete without the Art of Fermentation: An In-Depth Exploration of Essential Concepts and Processes from Around the World. If there was a religion based on fermentation, this would be its bible. If you’re acquainted with fermenting already and looking for a comprehensive book on the subject, this is the one for you. With over 500 pages, it covers the history and cultural nuances of many different types of fermentation, as well as providing illustrations and recipes. It’s great for the experienced fermenter who wants to know more, or for the newbie who wants to jump right in. Fermenting is a great way to preserve fresh foods without losing their nutritional power. With just a little bit of effort, you too can be fermenting in no time! Kombucha and kimchi not what you’re looking to whip up? 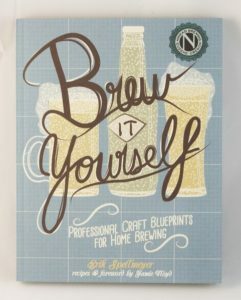 Brew It Yourself outlines the key methodologies of the two most common home beer-brewing techniques: extract and all-grain brewing. It provides professional advice on how to get started from square one at home, introducing the reader to the industry jargon and terminology, while providing clear instruction on the formalities of home brewing. Equipped with illustrations, images, glossary, photography, and step-by-step assembly instructions for building your own equipment, Brew It Yourself is your craft brewing bible. This book list (with the exception of #5) was written by past intern and occasional contributor/editor, Lydia Rogue. Follow them on twitter and patreon. 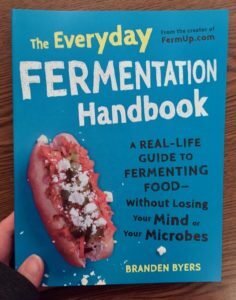 Do you have a favorite fermentation book we missed? Let us know!